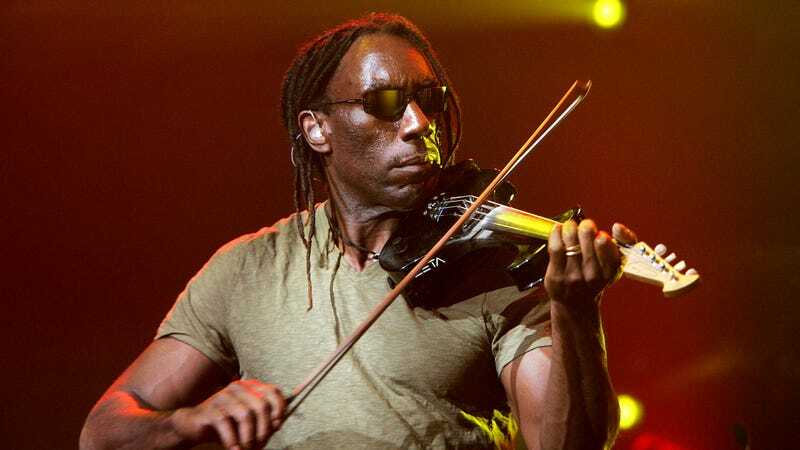 Boyd Tinsley, violinist and a longtime member of the Dave Matthews Band who took a leave of absence in February, has been officially booted from the band, as Consequence Of Sound reports. That publication broke the news earlier this week that Tinsley was being sued by a former bandmate in another one of his projects, the band Crystal Garden, for sexual misconduct. In his lawsuit, the plaintiff, trumpet player James Frost-Winn, says Tinsley repeatedly subjected him to unwanted, touching, sexual comments, and sexual advances during their time working together, and created a “hostile work environment” where Tinsley attempted to control the band members’ living situation and personal lives and told Frost-Winn he “owed him” sexual favors. (Frost-Winn was a homeless street musician when Tinsley began showing an interest in him; “In retrospect, he was absolutely grooming me,” Frost-Winn says in a new interview.) Specifically, Frost-Winn’s suit charges Tinsley with “loss of enjoyment of life, pain and suffering, mental anguish, emotional distress, and humiliation in an amount to be proven at trial,” as Billboard reports. Tinsley announced that he would be taking a break from Dave Matthews Band in February, on the same day that Frost-Winn first sent him a letter attempting to settle their dispute out of court. In an interview with Vulture earlier this week, Matthews said of Tinsley, ““I can’t say, ‘I can’t wait till he comes back,’ because I don’t know what’s going to happen. But right now being away is better for him.” Asked for comment last night, the band gave a more definitive statement: “Though Boyd is no longer a member of the band, we are shocked by these disturbing allegations and we were not previously aware of them,” they said. Tinsley joined the band in 1992, and plays on all nine of its studio albums. A replacement has not yet been announced. Is Dave Matthews Band’s Under The Table And Dreaming any good 20 years later?